Imangi Studios has gone high definition with their iPad optimized release: Harbor Master HD. Grab the app now in the App Store for Free, which is less than the iPhone version. 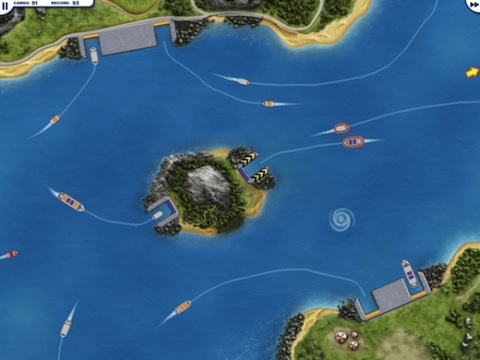 Harbor Master HD is one of the best line-drawing games in the genre including other hits like Flight Control. The new reworked version has brand spanking new high resolution graphics and scenarios that will make a splash on your new iPad (in a good way). If you’re not familiar with the game, you are in charge of getting boats and ships to their docs by drawing lines with your fingers to make paths. It’s pretty much a guaranteed “you will love it” kind of app that not only will attract you initially, but will keep you coming back for more as well. The iPad version of Harbor Master is currently a bit limited and only has 1 map (although it is a brand new one) called Treasure Island. The game has inline ads that are said to be unubtrusive enough and it’s being offered for free. So basically download away and if you can live with the ads, its a keeper. 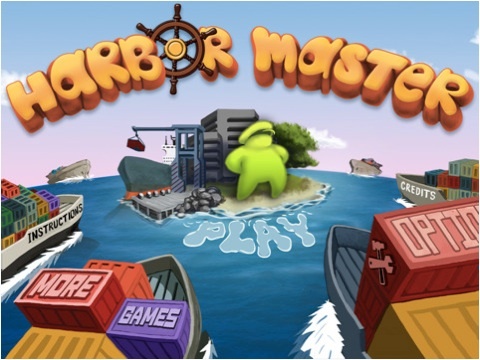 AppSafari review of Harbor Master HD was written by Joe Seifi on April 2nd, 2010 and categorized under App Store, Featured, Free, Games, iPad apps, Line Drawing. Page viewed 4209 times, 3 so far today. Need help on using these apps? Please read the Help Page.